SWEET STEALS— Like the style of Rachel Bilson, Teri Hatcher, Petra Nemcova or Nicole Kidman? 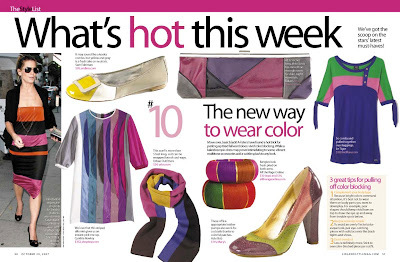 This week, Life & Style rounds up great similar pieces, minus the hefty price tags, to help you get their looks. HATS OFF — What’s the perfect kind of hat to complement your face? 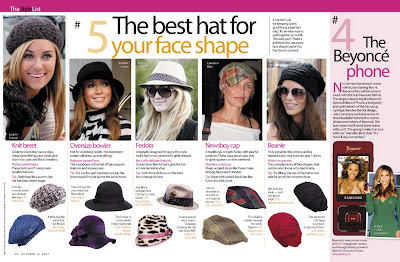 Whether your shape resembles Lauren Conrad’s, J.Lo’s, Ashlee Simpson’s, Cameron Diaz’s or Kate Beckinsale’s there’s a hat that will top it off just right for you. BOOTS TO BOOT — Stop killing your feet in heeled boots. Amanda Bynes opts for the practicality of flat boots and here are several similar styles. Nine West fan here. I love the suede boots. They cost about 13000 yen here in Japan and they feel great.